An increasing number of vehicle finance dealerships and lenders are discovering the benefits of shifting to a digital contracting process. J.D. Byrider, a Carmel, Ind.-based used car sales and finance enterprise, offers customers a safe and reliable car with simple on-site financing, affordable payments and low-cost car care. As the majority of customers use the dealership franchise to obtain funding, it’s critical for J.D. Byrider to maximize efficiency in the loan application and funding process. The company approached eOriginal in need of a solution that empowered them to go beyond simple electronic signature functionality to enable asset sales and securitization, while housing the assets in a secure vault. To meet and exceed the challenges of digital transaction management for non-prime automotive lending, eOriginal delivered an innovative solution that brings J.D. Byrider’s processes digital with seamless platform integration with their proprietary customer relations management/dealer management system. A major national bank serves as the custodian and can seamlessly manage the collateral among J.D. Byrider’s various financing sources. By managing the progression digitally, the transfer of loans move easily through the process, while still maintaining security and authenticity. Enable and expedite secondary market asset management, collateralization and securitization. Founded in 1989, J.D. Byrider is the nation’s leading used car sales and finance enterprise. The company was founded to servce customers with special auto financing needs and to ensure that they receive the same quality service in every J.D. Byrider dealership. With more than one million consumers matched to quality, affordable vehicles and a franchise system servicing more than $1 billion in retail contracts, the company continues its focus on reliability and customer satisfaction. Headquartered near Indianapolis in Carmel, Indiana, J.D. Byrider consists of 142 franchised- and 28 company-owned dealerships in 34 states. 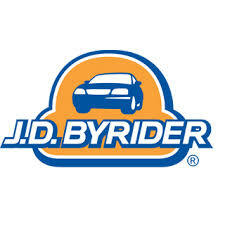 Visit www.jdbyrider.com to learn more.